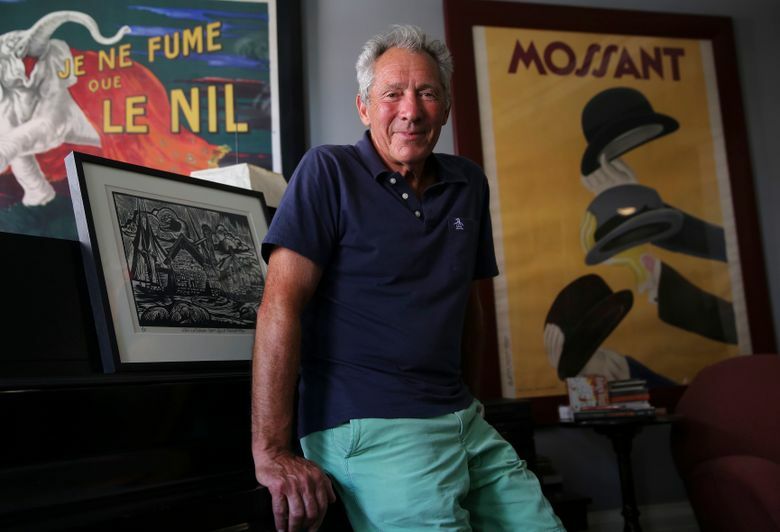 Two people say Israel Horovitz harassed them at Olympia’s Harlequin Productions, which has staged six of his plays. An artistic director says, “It never seemed to me that it was any big deal,” and didn’t explain why Horovitz was invited back repeatedly. When Israel Horovitz attended a 2011 rehearsal for his play at Harlequin Productions’ theater in Olympia, he insisted on seeing an actress’ hotel room. Seattle actress Kate Parker said she felt uneasy, but let the award-winning playwright inside. Then he lunged at her, she said, grabbed her waist and tried to kiss her. Parker said she was shocked. Horovitz, the founding artistic director of Gloucester Stage Company in Massachusetts, has written more than 70 plays, including “Park Your Car in Harvard Yard,” performed on Broadway in 1991. His screenplays include “My Old Lady,” a 2014 movie he directed that starred Kevin Kline and Maggie Smith. The #MeToo movement has sparked a national conversation about sexual harassment and assault. From actors in Hollywood to security guards at the Seattle Public Library, more people are coming forward with painful and intimate stories of abuse, casting new light on behavior that for too long has been dealt with in whispers, secret settlements or not at all. So where do we go from here? The Seattle Times' occasional series explores that and other questions as we move forward in this changed landscape. But Arvin’s image of Horovitz crumbled when she received a call from Parker that night, describing the hotel encounter. Unlike the case of Harvey Weinstein, in which women remained silent about the Hollywood mogul’s alleged history of sexual assault and harassment until news reports last year, women came forward publicly as early as 1993 alleging Horovitz harassed them. However, theaters brushed aside women’s complaints about Horovitz until the #MeToo movement caught fire on social media and brought myriad complaints about prominent figures to light. Horovitz, 78, has recently come under fire for his alleged behavior with actors and others associated with the Gloucester theater. He resigned from the company after The New York Times reported in November that nine women on the East Coast said they were sexually harassed or abused by the playwright over the past three decades. Two people, including Parker, say Horovitz exhibited similar behavior in Olympia. They and other employees of the theater company claim Harlequin’s directors failed to investigate or take any action because they were star-struck by Horovitz. In fact, Harlequin kept producing Horovitz’s plays and bringing him to its Olympia playhouse to help with productions or for opening night, even after the alleged incident with Parker. From 2009 to 2014, six of Horovitz’s plays were performed by Harlequin Productions. Scot Whitney and his wife, Linda, started the not-for-profit Harlequin Productions in 1991, renovated the downtown State Theater and continue as artistic directors. Horovitz came to three dress rehearsals and at least five opening nights, Scot Whitney said. Some playwrights visit theaters depending on the relationship they have with the theater and its directors. Horovitz, whose daughter lived in Olympia, developed a close friendship with the Whitneys. Whitney said he never confronted Horovitz. Horovitz didn’t return several calls for comment. Despite Horovitz’s reputation, producers and others ignored allegations because of his fame and productivity. In 1993, The (Boston) Phoenix reported that 10 women said they had been sexually abused or harassed by Horovitz, seven of them at the Gloucester Stage Company. But the Gloucester Stage board president at the time said the women were “tightly wound” and the board took no action against the playwright. In The New York Times story, a woman said that in 1989, when she was 19, Horovitz raped her during a fellowship at Gloucester Stage. Last year, another woman said he forcibly kissed her. Several other women said he cornered them and forcibly kissed and fondled them, sometimes shoving their hands down his pants or putting his hand in their pants. There are no records of the senior Horovitz facing criminal charges and most of the allegations fall outside the statute of limitations, said Carrie Kimball Monahan, spokeswoman for the Essex County District Attorney’s Office in Massachusetts. Even before Seattle actress Caitlin Frances met Horovitz, she had been warned to stay away from him by a friend with the Seattle Actors’ Equity Association who had worked with Horovitz in Massachusetts. In 2010, Horovitz attended Harlequin Productions’ dress rehearsals and a performance of his play “6 Hotels,” in which Frances performed. When he asked her to discuss her role or grab a drink after rehearsal, she refused, saying she had to go home to her son. Frances, an actress since 1974 and founding managing director of SecondStory Repertory Theatre in Redmond, said after the performance he grabbed her hand, pulled her toward him and kissed her on the lips in front of the audience and Scot Whitney. She regrets not complaining to Whitney, but said he was “enamored” with Horovitz. Helen Harvester, another actress who performed in “6 Hotels,” said in an email that she never felt unsafe with Horovitz. The following year, during rehearsals of his play “Unexpected Tenderness,” Horovitz returned to Olympia to help with the production. Harlequin Productions paid for his hotel room and used airline miles to fly him to Olympia, Whitney said. That’s when Parker said Horovitz tried to kiss her in her hotel room. She twisted away and said he needed to leave, she said. He suggested they take a nap together and he walked to the bed, Parker said. Again, Parker said, she told him to leave. “I just felt sick to my stomach,” Parker said. After he left she locked the door, skipped a crew party dinner and spent the rest of the night in her room. After hearing about the incident, Arvin, the stage manager, contacted her supervisor, Harlequin production manager Jill Carter. “We instituted the policy that no one was left alone with him and people were escorted in groups and we tried to hide (where) the actresses’ hotel rooms were located,” Carter said. Scot Whitney denied there was any such policy and said there were no other complaints brought to him. “I didn’t really think that it was a situation where protection was really necessary,” he added. Carter said she left Harlequin Productions after working there for 18 years, partly because the Whitneys failed to protect actresses like Parker. “He should have been told to pack up and go home,” Carter said. Whitney said Horovitz kissed everybody. Linda Whitney didn’t return phone calls for comment. Scot Whitney said he never alerted actresses about Horovitz and doesn’t recall notifying the entire Harlequin Productions’ board of directors about the incident with Parker, but may have talked to a few board members individually. But one actor said Whitney told the staff involved in the 2013 production of “Gloucester Blue” to stay away from Horovitz. When asked about Dewey’s recollection, Whitney declined to comment. He also didn’t explain why he invited Horovitz back repeatedly. The playwright paid Whitney, who also owns Whitney Design, to create his professional website. One of the reasons Arvin said she quit Harlequin Productions in 2012 was because Whitney ignored concerns about Horovitz’s behavior. At the same time, Arvin acknowledges she and others should have done more.